Loudness in streaming is one of the hottest topics right now among artists and producers everywhere. In an age where the loudness war very much still exists, the major players in the world of streaming media have decided to put an end to the competition once and for all. And I call it competition for a reason. To us humans, louder is always better. And with the majority of artists wanting to sound the loudest, particularly in the E.D.M. community, the job of the mastering engineer just got a little more complicated. In this video I’ll explain to you the differences between the streaming services,. How to keep your mixes from automatically getting turned down in volume. And how to go about integrating loudness into your mix from the very start. First we need to understand a few simple concepts. In this example (above) the, unmastered mix typically hits -7 to -5 db and has the most dynamics (distance between its loudest and quietest parts) and the least compression. When we master it we often use some compression to reduce those peaks whilst trying to improve the sound. Compressing (above) means that the peaks are lower, and the troughs are higher because of the squeezing action of a compressor. Now that the peaks and troughs are closer to each other, when we increase the level we bring up every part of the song together giving more overall loudness. The next example (above) is a good master, which fits within the suggested levels for the new streaming loudness guidelines. You can see it still has a lot of dynamics. We will come back to this one shortly. This (above) is the same file but with more compression. The compression has obviously taken away some of our dynamics but it also allows us to increase the overall level as we have gained some headroom by compressing. This will be much louder in volume, but will also be lower in quality because of the amount of compression added. In our final example (above) this is the same file again but this time we have used a limiter instead of a compressor. We have taken our good master and put a limiter on to clip any peaks that go louder than our threshold. Whilst this brings up the volume of the song, it also destroys some of the information in the highest peaks as they get clipped off. This can introduce distortion (which gives the effect of sounding louder, but is also mostly unwanted). Using a limiter means we can push the level up without fear of going into the red, but that’s only because what is going past the red is being cut off. Limiting does have its place. Lets go back to our good master example (above). It is dynamic, loud and punchy, and on the waveform you can see it has some space left around the peaks. This is because I have set my limiter to -0.2db. Most digital music players will have a limiter of -0.1db, whilst if you were to take that same file and play it on a CD player, you would get clipping. That’s because most CD players have an internal limiter of -0.2db. This point serves to illustrate that different equipment has different headroom. We will talk more about this later and why apple is especially vigilant about this. The purpose of these examples is to show that you can get a song as loud as you want, but it will always sacrifice quality for volume. On that note, we can see that the new loudness levels set by the streaming platforms have only one goal in mind. Music quality. The system they’ve introduced is a very clever one. They use a unit of loudness called LUFS or Loudness Units Full Scale. There are many Meters which read in LUFS but my favourite one is WLM meter from WAVES. Its currently on sale for $59 and may be something worth investing in. LUFS differs from RMS and Peak in that it takes the average reading of perceived loudness over the course of an entire song. Because of this, if you were to upload a song to Spotify for example, and that song had been slammed into the limiter and you’d got the kicks extremely loud and you had some distortion on the synths but you really liked the sound of it. Spotifys level meters would detect this loudness, the lack of dynamics, and the apparent clipping of the waveform, and it would turn it down in volume for the listener until its perceived loudness was equal to everything else in their catalogue, including older quieter songs which incidentally may have been increased in volume by Spotify themselves to meet theese new standards. The aim of the system is to be able to log in, and listen to anything from Beethoven, to David Guetta and have it all sounding the same volume. If we were to upload the good master from our earlier examples, it would be played on Spotify as it is right now, as it meets Spotifys guidelines of -14LUFS. Similarly Apple have a formal system called “mastering for Itunes” in which they send out guidelines to mastering engineers, and they can submit their songs that follow these guidelines, earning them the “mastered for Itunes” endorsement. Apples rules are a little stricter but serve only to maintain the quality of music even further. They focus on maintaining Bit depth and sample rate, meaning that whatever format the song is exported as should be the same bit depth and sample rate as the unmastered stems throughout the duration of the project. Apple also focus heavily on codec use, avoiding intermingling of things like MP3 and WAV and use of the AAC codec. They use loudness normalization the same as Spotify and Pandora aiming for the -14LUFS standard. And lastly they try to moderate inter-sample clipping, which is basically when two adjacent samples that are limited, end up producing a louder momentary sample which clips when translated to analogue equipment. Apple have a free mastering for Itunes download which contains a plugin that helps you detect any clipping and simulate the conversion to AAC to test before uploading. In fact I got a question just this week asking could I do a video on how to make beats louder on different platforms. Well for Youtube, who currently aren’t using loudness normalization, there will be no change. The loudness war iis still effectively ongoing. You can limit to your hearts content and get super loud obnoxious sounding tracks. Lets think about the whole concept, the whole idea, the whole aim to improve music quality for everyone. After all if your on Youtube listening to something and its too quiet cant you just turn up your speakers. The loudness war problem wouldn’t exist if people weren’t comparing a song to a different song. And this is why Spotify and other streaming platforms got it right with the loudness normalization method. I guess what I’m trying to say is, there’s always going to be competition, but I urge you to concentrate on having a good quality dynamic mix that sounds good and has plenty of movement and motions. The more you work on getting this right, the faster you will become great at mixing, and the quicker you’ll understand the concepts behind limiting and compression so that you can use them to your advantage. 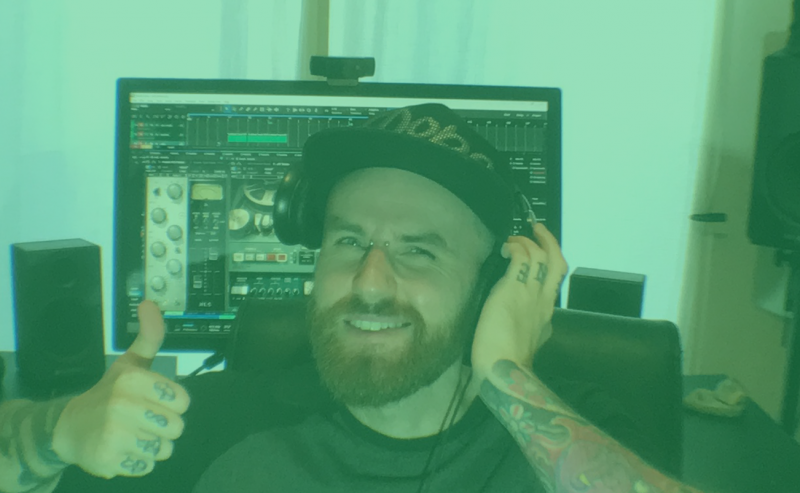 Im now going to give you a quick example starting at 8:12 of how I go about ensuring that my mixes maintain their dynamics, whilst being loud and punchy, but within the guidelines set by Spotify. We will be using FL studio as its the most common DAW my subscribers use. We will also be using WLM meter plus from Waves.